I used 4 and 1/2 cake mixes on this cake. I made 2 round layers and a small gingerbread shaped man. I iced in buttercream. I also used cand pieces for the trim. 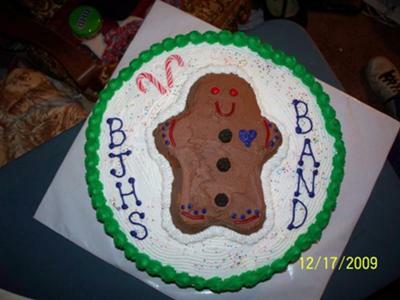 I also added small candy canes around the side of the cake.